PINK SALE ALERT! 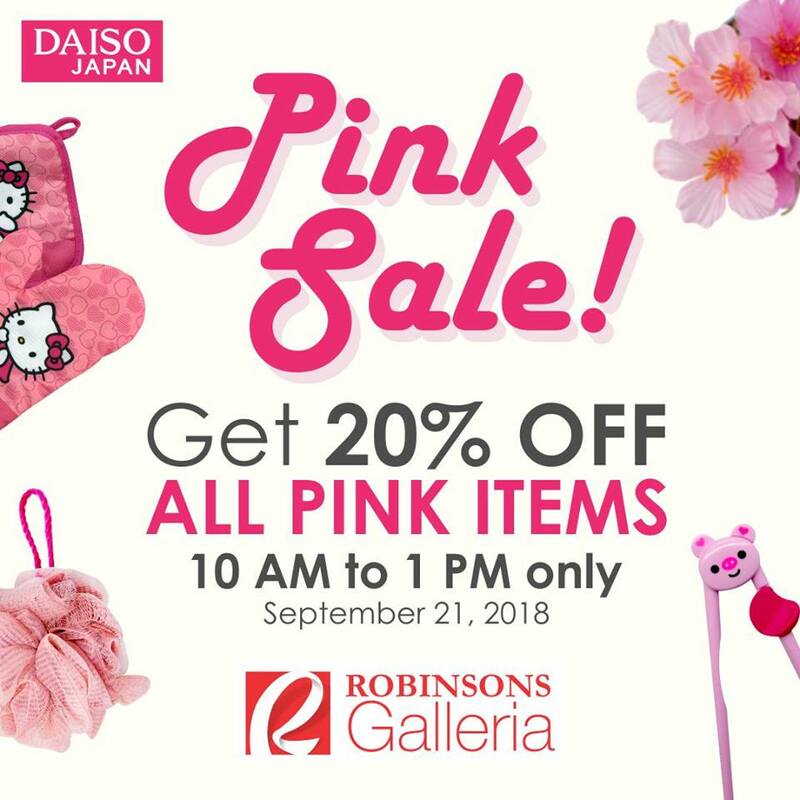 Daiso Robinsons Galleria's grand re-opening is happening tomorrow, September 21, 2018! Pink has never looked this good! Come and visit them as they unveil their Pink Store branch. Customers who purchase pink products will get 20% off. Hurry, it's only from 10AM to 1PM on September 21!